A new city parklet is scheduled to be completed on Solano Avenue in front of Zachary’s Chicago Pizza and Pegasus Books by the end of June. The Solano Avenue parklet is part of Berkeley’s 10-parklet, three-year pilot program that was originally approved by City Council in July 2013. 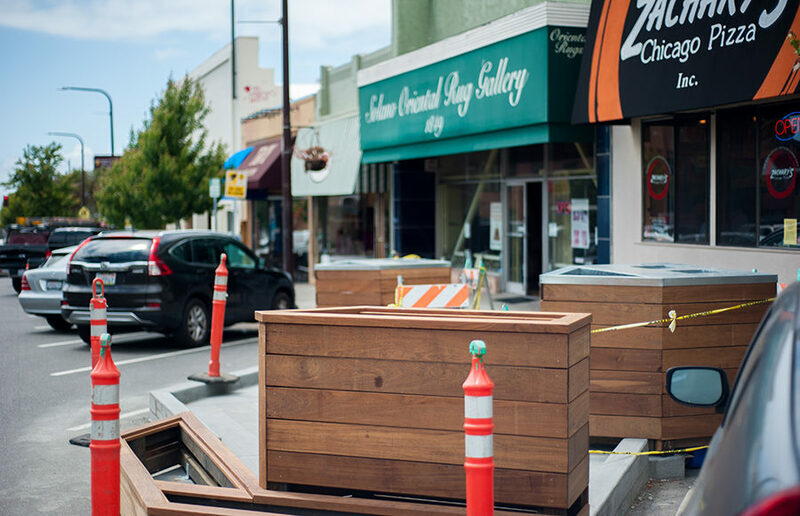 The Solano Avenue parklet project received support from the city’s Solano Avenue Business Improvement District, several local business partners and the campus’s Department of City and Regional Planning. A parklet typically repurposes part of a city street into an open public space with additional seating areas for retail customers and creates more pedestrian activity, according to the program resolution. “(One goal) was to create (the parklet) at a point on Solano Avenue so it becomes a gateway project … and to make it a welcoming, inviting place,” said Alex Bergtraun, lead designer at Studio Bergtraun Architects, the project architect for the Solano Avenue parklet. 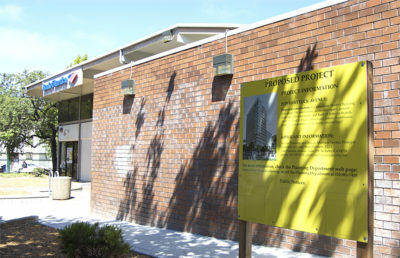 The parklet, which will occupy two former parking spaces on Solano Avenue, was partially funded through a $10,000 grant from the campus’s 2015-16 Chancellor’s Community Partnership Fund, a fund that brings together campus and city partners to work on projects that benefit the community. Zachary’s Chicago Pizza pledged $15,000 for the project and Pegasus Books assisted with insurance, permits, warehouse space and other logistics for the parklet’s construction, according to Amy Thomas, owner of Pegasus Books. 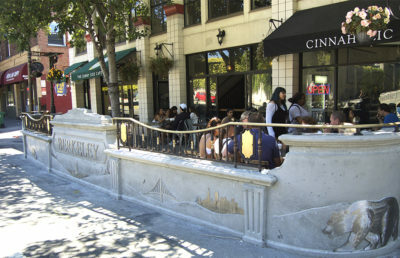 Businesses on Solano Avenue have suffered from a loss of pedestrian traffic after the closings of Oaks Theater in 2010 and La Farine French Bakery in 2014, as reported by Berkeleyside. 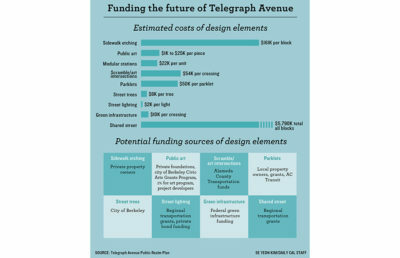 Eleanor Hollander, secretary of the city’s Solano Avenue Business Improvement District Advisory Board, said the district expressed interest in finding ways to “lighten up” the avenue. Graduate students in the campus’s Department of City and Regional Planning also performed a study in 2015 that examined the impacts of the parklet on the local Solano Avenue area. The study identified multiple potential benefits of the parklet, such as increased foot traffic for surrounding businesses. Bergtraun said Berkeley’s Boy Scout Troop 6 has also been involved in the construction of the parklet. One of Troop 6’s scouts has been working on planning the parklet’s construction for more than the past year as part of an Eagle Scout service project, according to Bergtraun. Troop 6 has also been holding “work parties” for troop members to help build the modular pieces of the parklet.